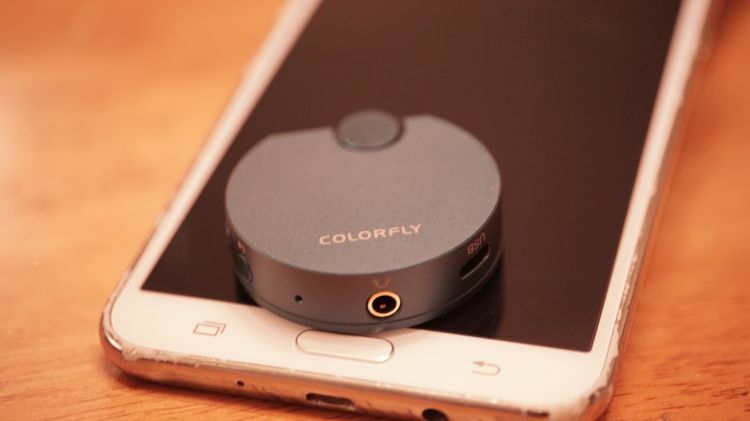 Disclaimer: The Colorfly BT-C1 sent to us is a sample in exchange for our honest opinion and does not have to be returned. We thank the team at Colorfly for giving us this opportunity. 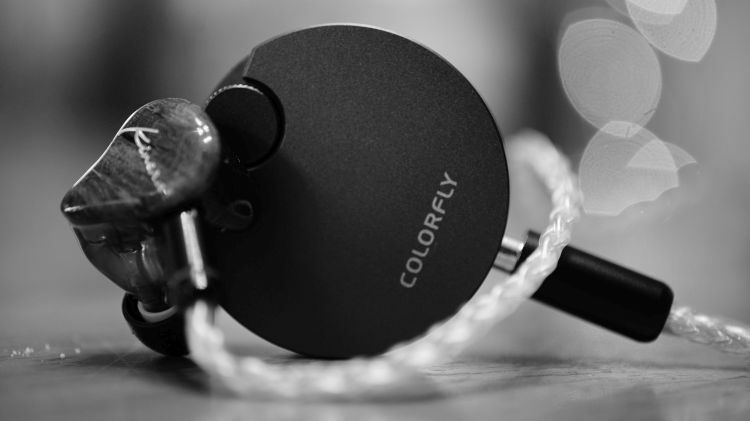 It has been a very long time since I have heard a Colorfly product. Yes, I did own their high-end DAP many years ago. I enjoyed that a great deal, many audiophile moons ago. Today, we will be looking into their adorably cute portable DAC: the BT-C1. Believe it or not, for being so tiny and budget friendly, I am positively shocked by the overall feature list that this little DAC has to offer. The BT-C1 is absolutely the cutest DAC I’ve ever seen or held in my hand. At just 42mm by 42mm by 12mm thick, this is perhaps the smallest DSD capable device I’ve ever reviewed. If there were ever a pocket-friendly device in the land, this would be among the smallest ranks. Untypically rounded, the BT-C1 is made of aluminum and has a nice, dense feel to it at almost 25g. I can see this being toted around immensely easily by your average consumer or budget conscious audiophile. The device comes with a small lanyard and a standard USB charging cable. Nothing fancy happening there. I prefer it that way with products under $100USD or so. The device has 3 small buttons and a volume wheel that doubles as a fourth button with various other functions that I will get into later. wasn’t particularly impressed, to say the very least. The 9318 feels three-quarters neutral, one quarter moderately warm. 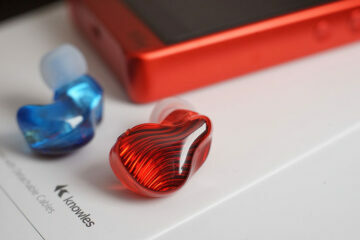 Certainly, the bass end of the DAC is gently boosted for a warmer and more vivid appeal. On a flat EQ (no equalization presently active) this DAC will sound just a little bassier than something like a 9018 mobile. Something common in DAPs like the iBasso DX90 and similar. Undoubtedly, the midrange and treble presentation feels neutral and flat to me. I don’t hear any real artificial flavor or tonality in the treble, nor any brightness that I would assume would come with something boosted over the bass and midrange. Everything feels relatively linear, not completely, but, certainly within the bounds of what I consider neutrality in the mids and treble. The only problem I foresee here is the budget range of what the most likely headphones are to be used with this DAC. While on the go, I feel like you will likely be needing to tote a dedicated amplifier along with the BT-C1. If that is the case and you want to remain small, I’d be looking into the XRK Uber portable amplifier. 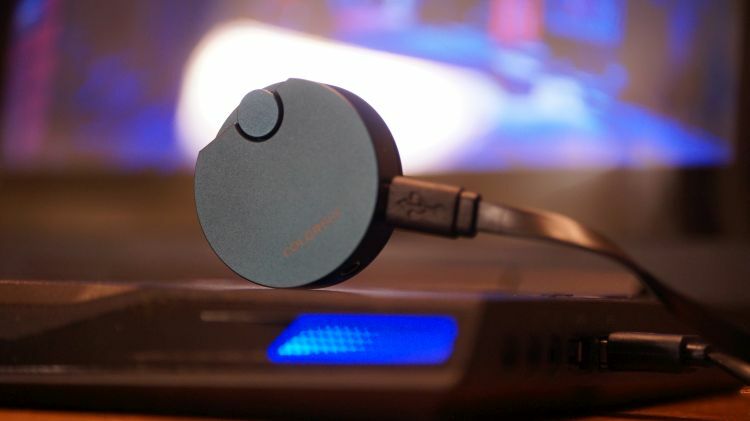 It works very well with the BT-C1 and the duo can really offer you a substantial portable experience. The DAC alone, as in, just the BT-C1 by itself, is just good to be ear in overall fidelity potential. I feel it is overly neutral through the mids to treble, but that is entirely subjective and just my preferences at play. I prefer something more engaging. The BT-C1 is linear, for the most part, so it tends to pair very well with most headphones and amplifiers out there. 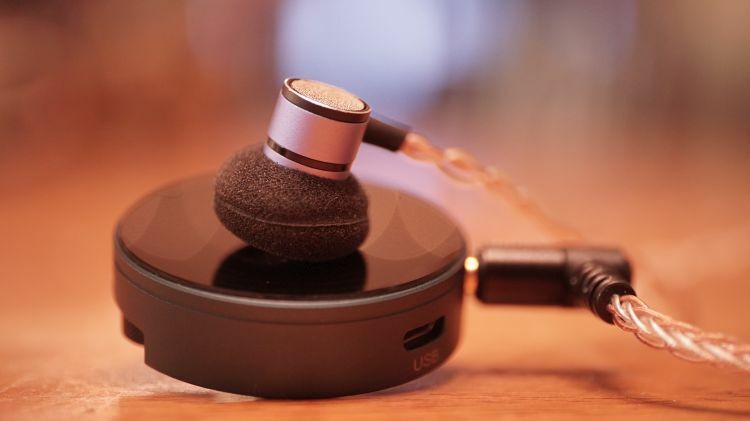 So long as your headphone isn’t a specialist with a focus on midrange, bass or treble, you will be just fine and more than likely find the device very handy. 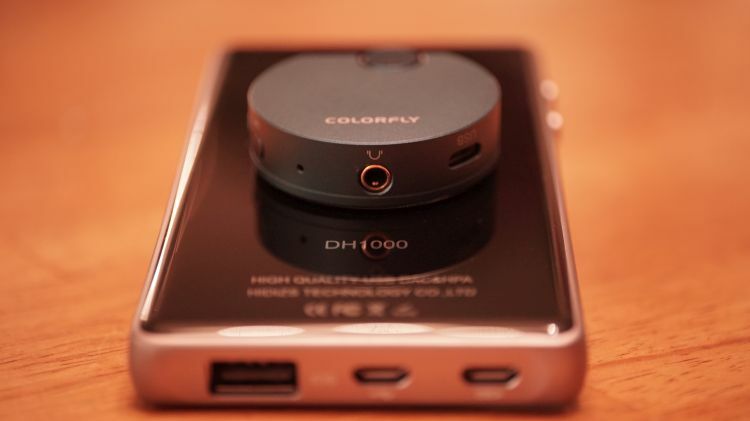 All around products are generally how the budget tier and middle tier titans end up in offerings, so it comes to no surprise to me that Colorfly made sure the BT-C1 will be suitable for pairing with a wide variety of headphone amplifier and headphone sound types. As previously mentioned, the BT-C1 feels gently boosted on the bottom end, a bit warm and vivid, as well as mildly engaging. By that, I mean the physical dynamic impact of headphones I know well, end up sounding a bit more powerful than I am used to. Generally, we don’t see that type of a boost in budget products. This is a wonderful sign. The community needs more of this type of a sound. The primary reason is that, in my years of reviewing products, boosted and elevation that comes stock in a product will generally let you reduce the bass quantity via EQ if needed and still sound great. I do not feel that to always be the case with neutral products that come stock in sound with a flat response. Generally, the number of products that are very responsive to EQ alteration in a positive manner (raising EQ and boosting via a software and still sounding great even with a +5dB on the low end or even more) is extremely rare. The reverse isn’t rare at all. Boosted low end and musical gear tends to be much more lenient in my experience and lets me drop down the bass if need be and not lose too much in the way of depth potential. That isn’t always the case…most of the time…maybe. So for that reason, I am very happy with the BT-C1 and respect Colorfly for the musical and enjoyable low end that isn’t hyper dry or overly neutral. Comparing the BT-C1 to something else in the budget tier is near impossible because I simply do not know of any other very small, DSD256, 32bit, voice friendly and Bluetooth active USB DAC’s sub $100usd that sound this nice. Especially so with the low end of the spectrum in mind. It became a bit of a nightmare to solicit something similar in the price tier and with that…I came up with literally nothing. So, out of unfairness to the tier, I had to reach into the next level of potential DAC’s out there and compare to something like the Dragonfly, DH1000 and even my older O2, Audioengine D3 and Cozoy Alien. Outside of the DH1000 and the O2, I felt like raw bass fidelity was certainly superior to rest that I ‘ve just cited. No doubt, the DH1000 from Hidizs and the O2 sounded significantly cleaner, but neither really had the oomph down below that this BT-C1 has. 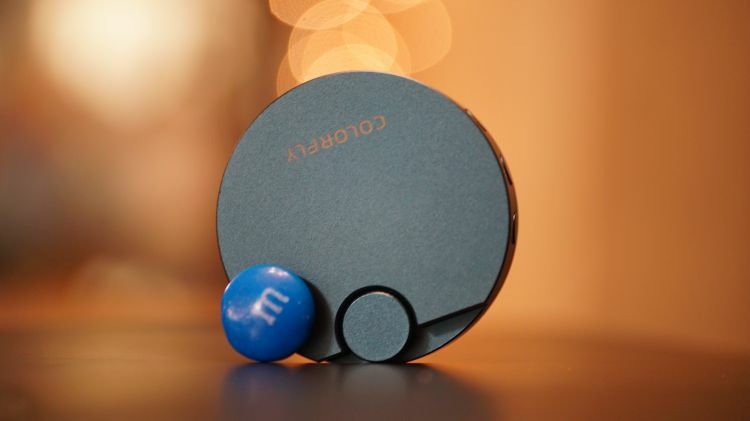 permanently attached to it makes it less portable friendly than the rounded design of the BT-C1. I can opt for a very short USB cable to bridge my phone to the BT-C1 and can easily hide it behind the phone, or perhaps, even strap it or adhere it with something and keep the rig clean and pocket-friendly. I cannot do that with the Spectra as easily. Direct comparisons resulted in the BT-C1, once again, taking the crown for the battle in this arena. The Spectra falls a little short and feels less coherent and well rounded, especially so on the bottom end. Sadly, the BT-C1 isn’t at all set up for intimate vocal headphones or even amplifiers you might find to house a focus on midrange bloom. That isn’t really a bad thing, because very mid-centered headphones, such as my ATH ESW11LTD, still so sound more than forward enough to enjoy. It is just a stark difference when swapping to something more forward, perhaps, my Heron 5 from Airist Audio or a similar prominent sounding amplifier or USB DAC. I would rate thing just on the very horizon of mid-moderate in the placement of the midrange. That means it is not a forward sound, but it also isn’t recessive in the actual physical locale. I would prefer a bit more bloom, at least, to round out the slightly boosted midrange and make things feel a bit more coherent and even from bass to midrange areas of the spectrum. The BT-C1 is coherent from the midrange to the treble, and as a result, I find the experience a bit too linear sometimes. This becomes an issue when I cycle to a track with a powerful bass experience, but, also one with a prominent midrange with a forward feeling vocalist. Big Band genres tend to house that type of an experience and this BT-C1 is not my pick for that type of a playlist. But of course, for the price, and for the intended usage of this product with a cell phone, this is more than satisfactory. Again, it isn’t a specialist product made for a specific listening preference. It is an all arounder, made to sound good everywhere instead of great in only this or that application of listening and preference. headphone I tested with the BT-C1 and the experience was less than stellar. There are some DAC’s out there, such as the Spectra, that can tame the Fostex very well and make it sound more musical and subjectively more enjoyable for me. The BT-C1 retained all the not so good things I know to come with a neutral sounding DAC combined with the Fostex TH-X00. Is that a bad thing? No. If you like neutrality and clinical treble, then go grab this one. It is very good for that type of a sound. So long as your headphone isn’t overly slamming and unclean in the treble, you should enjoy the BT-C1’s upper end very much. In the way of fidelity, I consider it very good. Probably one of the best I’ve ever heard sub $100. If you are into treble, this is a fantastic option for you. sounds noticeably smaller and less aired out than the Spectra and numerous other DAC’s that I was able to compare to. It isn’t a serious issue. It just isn’t an imaging titan. What is there, in fact, is plenty coherent in a physical sense of the listening experience. Width and height are both good, the depth of field is where I felt the most lacking sense of imaging from the product though. Even then, at less than $100usd? This is still a good sound-stage experience. If your headphones aren’t really tailored for exceptional staging, to begin with, you won’t really be bothered too much by it. Odds are good you aren’t using the TH-X00 or something like that anyway. With my ATH-ESW11LTD, the experience is more than sufficient to nearly max out the potential of the imaging experience of that headphone. 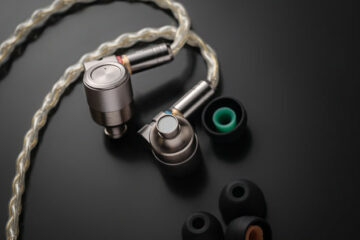 Most of my earbuds and IEM’s feel good as well, without any real detectable lacking sense anywhere. It isn’t until I used the higher end portables that I could detect the need for a more spacious DAC that is feeding the headphone. I had some issues with BT connections. But, they were solved with a few reconnects on my phone and via other devices. My iPhone SE and my Samsung J7 both took almost the exact same amount of time to find the BT-C1 and pair with it. It took a bit longer than I am comfortable with and battery life is hardly 6-7 hours or so, to begin with. I feel like I am asking too much of the device in the way of battery life on the go. So I won’t really go too far into that beyond just saying that if you are running off a phone alone, the BT-C1 will be drained in less than a workday hours run. Believe it or not, call quality is very good. The BT-C1 is a weak DAC in terms of electrical output. At just 32mW output power…no, it does not power my Fostex TH-X00 well but will give it sufficient loudness. It will power my ATH-ESW11LTD nicely, as well as most of my portables. So long as you stick to very efficient headphones to pair with, you will be fine. Otherwise, you will drain that battery very quickly and also not receive proper powering of your headphone at the same time. So, be careful about what you pair with it. 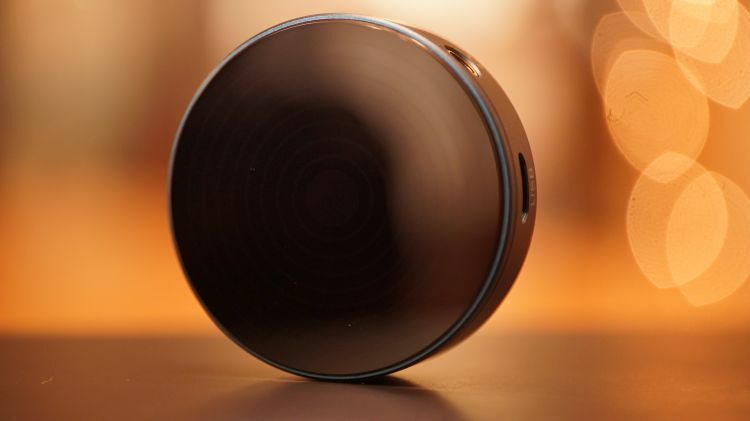 As briefly mentioned before, it might be a good idea to invest in a small portable amplifier as well. I recommend the XRK Uber all the time, still the best overall small headphone amplifier I’ve ever heard and it pairs very well with the BT-C1. Colorfly has a real winner here. This could be one of the best budget DAC’s I have ever tested and all that is only regarding the overall fidelity and clarity of the product. Factor in the DSD support and wireless capability and you get a really fantastic value product. I recommend it to anyone who enjoys walks, bike rides or similar experiences on the go. Having the ability to wireless with this level of quality and also with a unit this tiny is a fantastic feeling. I enjoy it very much. Great job, Colorfly. The BT-C1 is jam-packed full of useful features and offers a very nice sound quality to listeners who need a very small USB DAC. Are you able to check what happens when you connect headphones with inline control and microphone? I mean, does it support controller and microphone pas-through, or you have to always use BT-C1’s controller and microphone? Grats on the M0 buy. It is very good for the price and size needs. As for the Snake Eater OST, make sure you look into the Snake Eater Vocalist albums too. There are a lot of Japanese tracks on there that were only in the Japanese version of the game that are awesome. Honestly, it is a nightmare to track all the songs in the complete works of the OST, because there are sublty different versions all over the place. Thank you a lot for your reply. Im going to purchase It. Mgs3 my favourite game ever, so the buy is totally worth it. I just bought a Shanling M0 by the way. Great stuff. Oh goodness, my MGS Snake Eater OST was a pre order bonus for buying the game back in 2004. You can only get them now on ebay or amazon. Here is a link below. However, there are a ton, and by a ton, I mean a like 2 extra CD’s worth of extra tracks that are different on certain versions of the disk. So if you want a complete 100% Soundtrack to the entire game, you’d need to buy every single OST release of the game…which is what I did over the course of the last 14 years haha. Hi, I just read your Shanling M0 review. Would you mind to link me to the place you got your MGS3 Soundtrack?